The Blueprint for LSAT Logic Games book teaches students how to tackle the difficult Logic Games section of the LSAT. 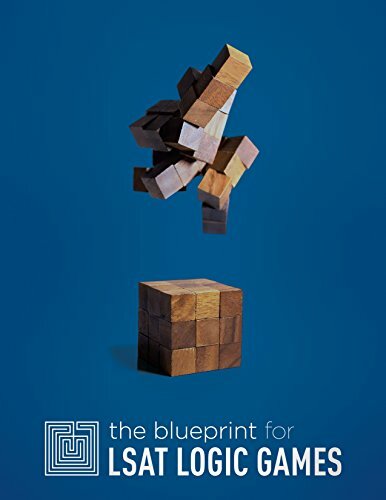 Utilizing Blueprint Building Blocks, readers learn how to identify game types, set up diagrams, and efficiently address questions from the best LSAT prep company in the industry. Students implement these methods by tackling 35 real Logic Games, taken from the most recent LSATs available. Because the LSAT has gotten more difficult over the years, it's important that students use the most up-to-date materials to prepare. The Blueprint for LSAT Logic Games uses the same brilliant (and hilarious) techniques taught in Blueprint's live and online LSAT prep courses. Each LSAT prep book comes with a free Blueprint student account, which allows readers to log into Blueprint's website and watch HD video explanations for every Logic Game in the book. The video subscription lasts for one year from the date of purchase and the videos are the same as those used in the Blueprint LSAT Prep courses and feature company founder Matt Riley, who has taught thousands of LSAT students and has never missed a Logic Game question on a real LSAT. Whether you're self-studying and looking for the best LSAT prep resources available, or you've already taken a course and are looking to master Analytical Reasoning and boost your LSAT score, The Blueprint for LSAT Logic Games is a true Logic Games bible.